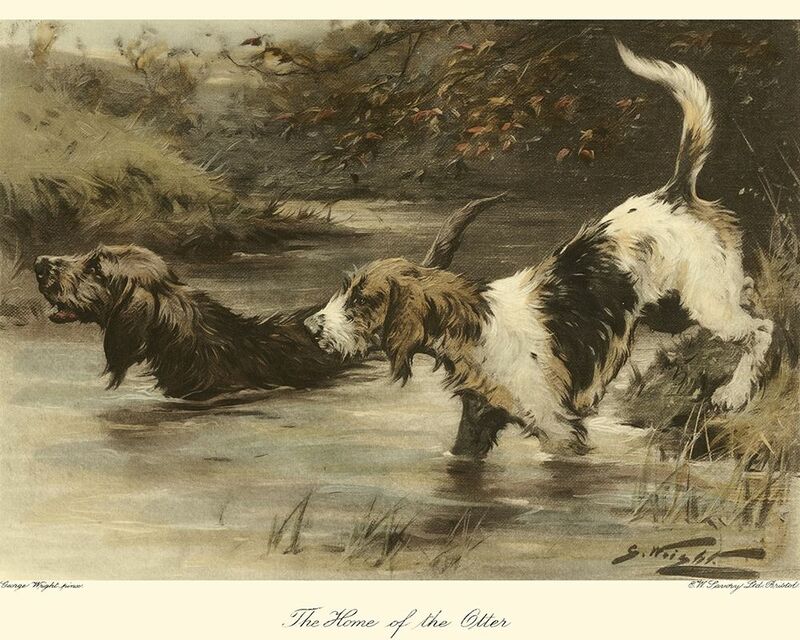 "The work of sporting artist, George Wright, is very highly regarded and his oil paintings of coaching and hunting scenes, amongst others in the sporting genre, have proved to be enduringly popular.Born in Leeds in 1860, little is known about the artist’s life. He was the son of the manager of a carpet factory and the brother of another well-known sporting artist, Gilbert Scott Wright, with whom he later collaborated. He moved from the Leeds area to Rugby in 1901, where he completed a popular series of polo paintings, and he later settled around Oxford.George Wright exhibited at the Royal Academy from 1892, and also at many other prestigious venues, including for the Royal Society of Artists and at the Messrs. Ackermanns Galleries in London. 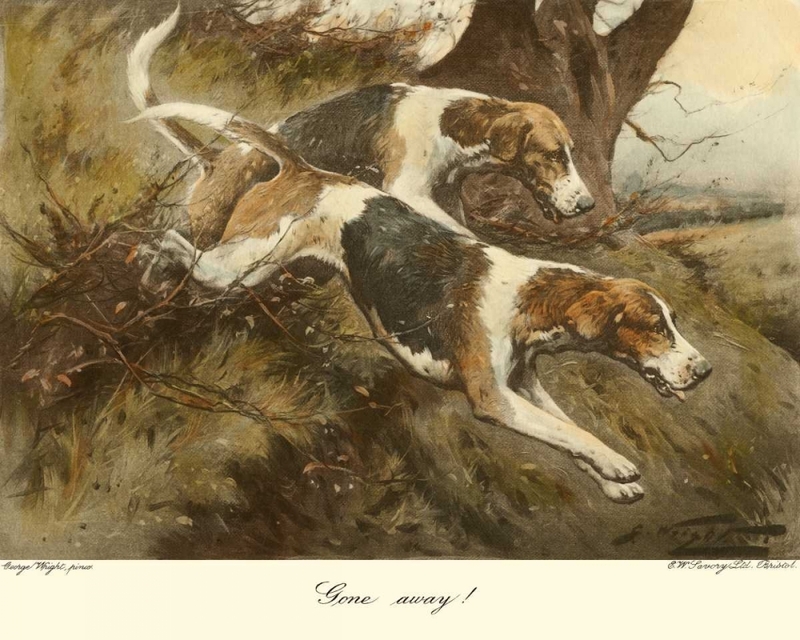 He also illustrated several books.Wright was a keen huntsman and hunted with the Old Surrey Hounds, who provided him with the inspiration for many of his most successful hunting scenes. Interestingly, many of Wright’s works were painted in pairs.George Wright died at Seaford, in Sussex, in 1942."